De opzet van de masterclasses voor de aankomend editie zal anders zijn als voorgaande jaren. Dit jaar worden alle masterclasses gegeven door vrouwelijke sprekers en omdat ze alle van gelijk nivo zijn hebben we geen onderscheidt in brons, zilver en goud. En dus hebben we dit jaar 3 diamanten masterclasses. Let u alstublieft goed op bij het kiezen van de masterclass dat bij de internationale sprekers de voertaal engels kan zijn! 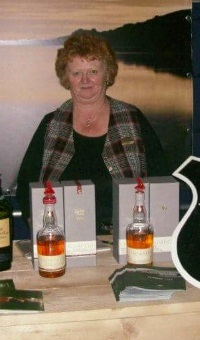 Isobel Gardiner started at Glenkinchie in april 1990, worked as a guide and helped to set up the new Visitor Centre in 1996. Became lead Guide in 1998 and got involved in doing festivals and different whisky tasting events outside the distillery. Was invited to Amsterdam to the Whisky Festival in 2000 with Charlie Smith who was the Distillery Manager. Worked at the first 11 Festivals from 2000 to 2010 in Amsterdam, The Hague and Leiden. Retired in 2010 but still has a close relationship with the festivals in Holland and have visited twice since I retired. Have made many friends in Holland and always meet up with them when they come over to Scotland for a visit. I have a great passion for Glenkinchie distillery as my grandfather worked there inthe 50s and 60's and always felt it was a privelage to be involved in promoting whisky. Have trained many guides, two who have become heavily involved in the drinks industry. Het thema van de masterclass zal zijn "Diagio Classics". 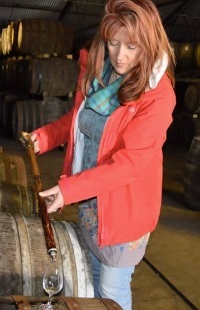 Rachel MacNeill doet 3 verschillende masterclasses, op vrijdag "Independent bottlers", op zaterdag middag "Dram Architecture" en op zaterdag avond "Peat, Smoke & a mixture of both". It was in fact the Wemyss family that introduced me to the exciting world of wines and spirits. I joined the parent company Wemyss Developments in late 2011, assisting with the various companies that make up the Wemyss Family portfolio (wines, avocadoes, tea, property development) before a very natural transition a couple of years' ago into the all girl (with the exception of William Wemyss!) whisky and gin team. My job title is Regional Sales Manager. I studied French and Latin at Manchester University which certainly helps a great deal in this business. Previous roles including event coordinator and managing event staff for a catering company, which are certainly useful when taking the floor at the many tastings and shows throughout the year. 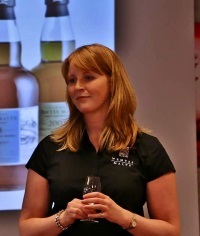 Ginny will be presenting a selection of blended malts and single cask whiskies from Wemyss Vintage Malts' newest releases, and will introduce you to the Wemyss' family's own Kingsbarns Distillery with a sample of it's New Make Spirit.